Set amidst beautiful mountain steppes, this surprisingly entertaining musical movie might make you want to visit Kyrgyzstan. “Undersold” might be the best word to describe Kyrgyzstan, which most English-speakers may struggle to spell, much less locate, on a map. This is a pity, as the mountainous central Asian nation possesses immense strategic value (formerly host to an important US airbase for its proximity to Afghanistan) and breathtaking natural beauty. Now, Kyrgyzstan can add an unexpectedly entertaining musical film called The Song of the Tree to its list of “undersold” offerings. After a domestic screening in February 2018, The Song of the Tree made its international debut in the “Window On Asian Cinema” section of 2018’s Busan International Film Festival. The Song of the Tree is Kyrgystan’s first ever musical movie, and its first-time director Aibek Dayyrbekov mentioned in a BBC interview that the popularity of 2017’s La La Land pushed him to complete the film. 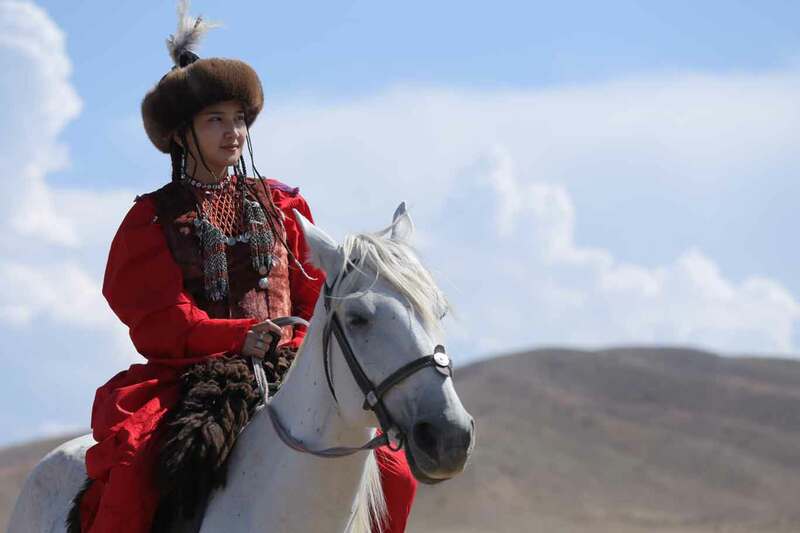 Like La La Land, The Song of the Tree tells a musical story of two young lovers—though in this case they’re nomads in Kyrgystan’s mountainous steppe during the 1800s, rather than aspiring actors in 21st century Los Angeles. Our male lead Esen is in love with Begimai, youngest daughter of tribal leader Bazarbai. While Begimai loves Esen back, Bazarbai disapproves of their romance due to Esen’s low social status. After a series of tragedies befall both of their families and leave them scattered, Esen and Begimai must battle privation and traitorous enemies to become lovers once more. By relying on the time-tested trope of mismatched lovers, The Song of the Tree distinguishes itself from many of the indie offerings at Busan, and becomes a film that not only critics might watch. Sure, Esen and Begimai might be nomads, but they sing the same notes of love that the characters in La La Land also sing. I expected The Song of the Tree to be a far more esoteric film, and felt pleasantly surprised when it wasn’t. In fact, the nomadic setting is what helps The Song of the Tree avoid all the clichés that come with musical romances while still exploiting the genre’s advantages. Director Daiyrbekov weaves elements of Kyrgyz tradition, passed on through generations of his family, into Esen and Begimai’s story. For instance, the film’s title refers to a sacred tree whose untimely demise influences the tragedies Esen and Begimai’s family’s experience; the tree also highlights the unique blend of Islam and Shamanism that many Kyrgyz practice. The film’s biggest delight, though, comes from its setting and cinematography. 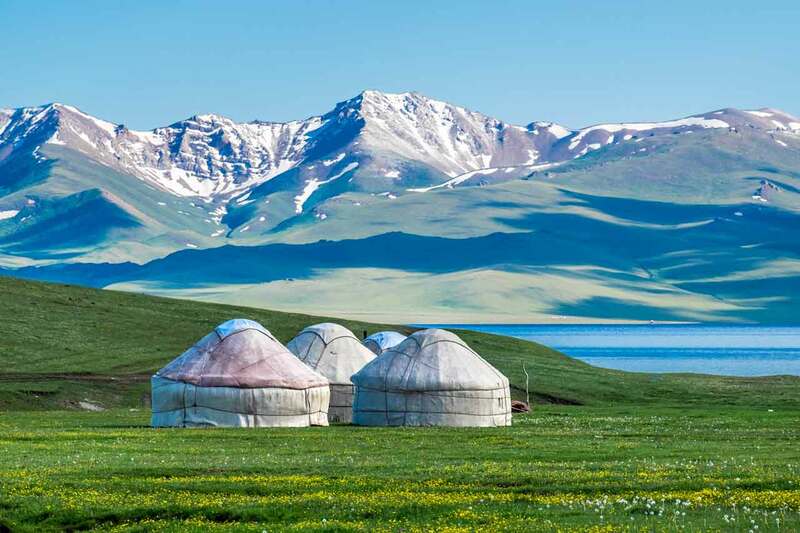 Kyrgyzstan has some of the world’s most beautiful natural scenery, with snow-capped mountains and pristine lakes capable of attracting millions of international tourists if it weren’t for the lack of publicity and proper infrastructure. The Song of the Tree was shot in Kyrgystan’s northeast, in the vicinity of some of the country’s most renowned natural sites—including the mountain lakes Issyk Kul and Son Kul. Since the movie features nomads, every scene offers a celebration of Kyrgyzstan’s natural beauty, accentuated by sweeping and well-composed camerawork. Words cannot describe the pristine vastness that The Song of the Tree helps highlight. You can’t get much more novel than a musical about mismatched lovers plucked from Central Asian nomadic tradition. Coming from an “undersold” locale, and screening in a program not known for popularly accessible titles, The Song of the Tree offers a surprisingly palatable taste of something new—and might even make you want to visit Kyrgyzstan afterwards. Perhaps the country’s tourism authority should take note if they’re keen to ramp up marketing efforts. The Song of the Tree (Kyrgyz: ДАРАК ЫРЫ)—Kyrgyzstan. Dialog in Kyrgyz. Directed by Aibek Dayyrbekov. First released February 2018. Running time 1hr 33min. Starring Temirlan Smanbekov, Omurbek Izrailov, Saltanat Bakeva.